An in-depth look at communication principles and practice to help progress your career. Massey’s Postgraduate Diploma in Communication will deepen your understanding of communication practice. You will follow similar study and learning processes and take study courses that are also part of the Master of Communication, but without a research thesis component. This qualification will be useful if you are in a communication role and wish to both broaden your skills or if you’d like to expand your understanding of different approaches to communication from business or humanities traditions. Massey’s communication programmes are only the seventh outside of the US to be recognised by the Accrediting Council on Education in Journalism and Mass Communication (ACEJMC). This prestigious accreditation recognises Massey's "good connections with industry, its commitment to constant improvement, its strong leadership, and large research output". Massey Business School is ranked in the top 2% of business schools globally. Massey University’s business and management studies ranks in the top 250 and communication and media studies in the top 200 in the world (by QS (Quacquarelli Symonds). We are also ranked in the top 150 universities worldwide for business administration programmes by the ShanghaiRanking's Global Ranking of Academic Subjects. Massey offers you access to world-leading expertise across a broad range of specialisations, including media, humanities, business, organisational studies, social sciences, health and social sciences. We have the longest-running communication programme in New Zealand, the largest numbers of students in any university communication programme and the most options for communication-related study. Massey University’s graduates have a long-standing reputation for excellence in both theory and practice. Postgraduate study is hard work but hugely rewarding, empowering you to produce your best creative, strategic and theoretical ideas. The workload replicates the high-pressure environment of senior workplace roles. Our experts are there to guide but you will find that postgraduate study demands more in-depth and independent study. Whether you are currently in a communications role, in a position that has a communication dimension, or would like to work in communication at a senior level, the Postgraduate Diploma in Communication can help you take your career to the next level. A postgraduate diploma qualification helps you stand out in the employment market. But postgraduate qualifications are becoming more common - a Public Relations Institute of New Zealand study showed that over 40% of PR practitioners now have a postgraduate degree. Now is the time to undertake this qualification! Professor Sligo’s main research areas are in adult literacy, information richness and poverty and the knowledge-behaviour gap. 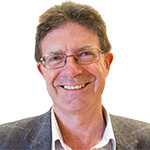 He has taught in the US and China and has written a number of books that have become standards of the communication discipline including Communication in the NZ workplace: Theory and practice (2005); Effective communication in business (2000) and Perspectives in business communication (1997). Professor Sligo’s work has been widely published in journals such as Text & Talk, Chinese Media Research, Education & Training, Australian Journal of Communication, Visual Communication, Journal of Business & Technical Communication and Research & Practice in Adult Literacy. He leads the Massey University Adult Literacy and Communication Research (ALCR) Group which has been funded by the Foundation for Research, Science and Technology, Ministry of Business, Innovation & Employment, the Ministry of Education, the Ministry of Health, the Health Research Council and the Tertiary Education Commission.